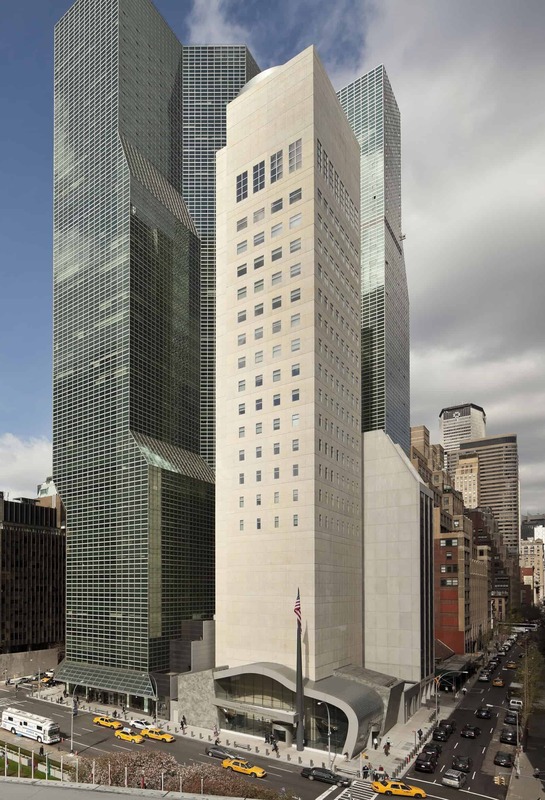 The site is located opposite the United Nations General Assembly Building on First Avenue and 45th Street in New York City. It presents a pedestrian scale, a place scale and a city scale that attempts to be both memorable and inspiring. The building provides office, meeting and reception spaces for the U.S. Mission, the United States Information Agency, and the Office of Foreign Missions within a 22-story structure which is designed in response to stringent blast and security criteria. Special facilities for press conferences and reception functions are provided in the base and at the top of the building.